The leaf has a green center with a silver edge. 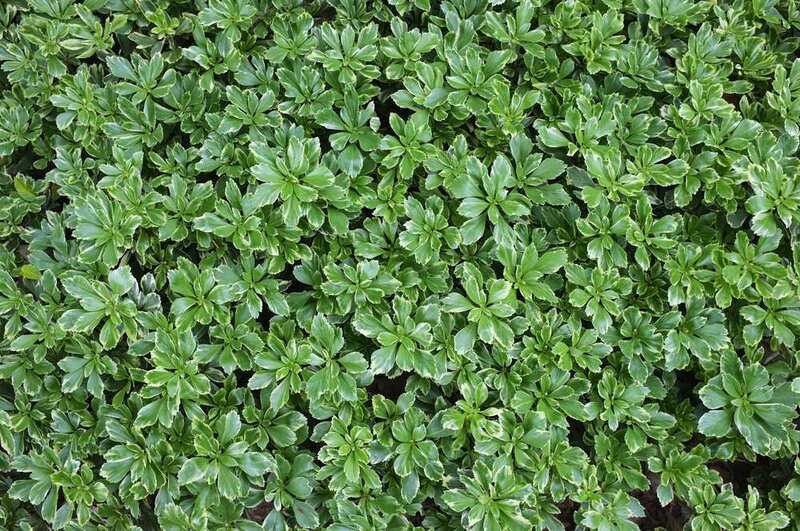 Specific; Pachysandra, Silver Edge or Pachysandra terminalis Silver Edge is part of the Japanese Spurges family. Japanese Spurges are evergreen all year and self-sustaining. 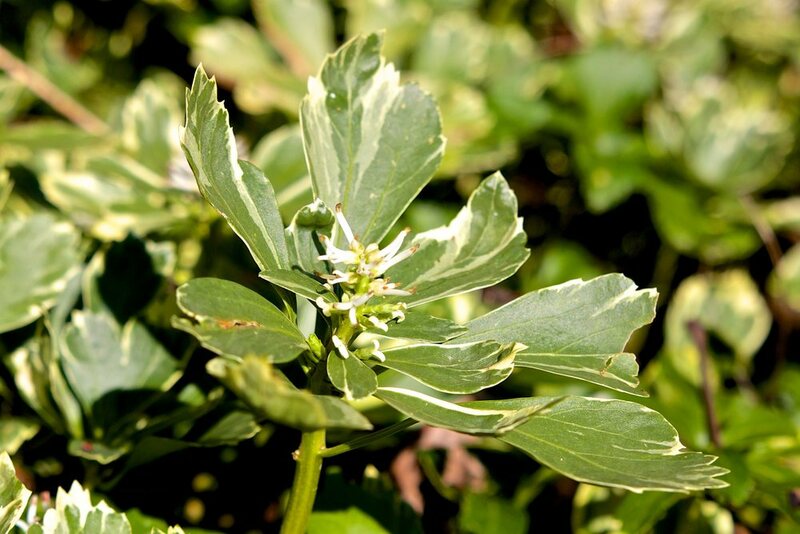 What makes this version different from its relatives is its oval shaped leaves, green with thin silver-white margins. It has clusters of small white flowers in early spring. Prefers well-drained, organically rich soil and shade.